This week's Friday Freebies are about meeting basic needs, from carting home groceries in a stylish reusable bag from Target to doing your laundry with a free detergent sample and enjoying a free treat -- ice cream at Ben & Jerry's. There are seven freebies total. Enjoy your days off! Get a free reusable bag from Target in celebration of Earth Day. The free reusable bag giveaway is on April 17, 2011. Last year supplies ran out very quickly, so make sure to get there early to be one of the million people who receive a free reusable bag from Target. This year's bags are very stylish - an orange, one-strap number that you can carry over your shoulder. The bag reads "fill, refill, and repeat," which frankly, isn't very eco. How about "reuse, recycle, repeat"? Use the bag 10 times, and you're keeping 25 plastic bags out of a landfill. Caveats: One bag per person. While supplies last. Check your local store opening times to determine when you need to arrive. Not all stores will have the same number of free reusable bags to give away.Get a sample of free fragrance from Lacoste when you sign up to receive emails from Lacoste. Share your name, address, email, and date of birth. Then choose from one of four fragrances for men (all the women's perfume seems to have run out). The choices include LACOSTE Challenge, LACOSTE Essential Sport, LACOSTE Essential, and EAU DE LACOSTE. You may sign up for additional LACOSTE email lists and clubs, but it is not necessary to receive the free fragrance sample. Caveats: You must be 18 or older to receive this free fragrance from Lacoste. Available to residents of the U.S. only. Once you submit the form, your free sample will arrive in a few weeks. Get a free sample of Purex laundry detergent when you fill out a simple request form. Share your name, address, and email, plus your date of birth to make sure you are old enough to receive the free sample of Purex with laundry detergent (probably 13 and older). The free sample is for Fresh Morning Burst fragrance with Zout, a solution that apparently helps remove stains when you apply it before washing. This two-in-one product claims to combine the power of both solutions into one. Once you submit the form, you'll get your free sample of Purex in about 12 weeks. It's unclear how long this freebie will last so don't delay if you are interested. Caveats: The free sample of Purex laundry detergent is available to U.S. households only. Limit one per household per 12 months. While supplies last. Free ice cream day at Ben & Jerry's is coming up! Mark your calenders for April 12, 2011 and be sure to stop by your nearest Ben & Jerry's for a free ice cream scoop between noon and 8 p.m. A promo page for the free ice cream day is on Facebook but you don't have to have a coupon or be on Facebook to take advantage of this freebie. Sadly, I have not been able to take advantage of free ice cream day at Ben & Jerry's for a few years, but when I did way back when, I received a free full-size scoop of my flavor of choice. That's one hot freebie! Caveats: Check the free ice cream hours at your local store as they may vary. No purchase necessary. Grab a free movie rental from Redbox when you reserve a movie online. After you pay for and pick up your movie, you'll get a coupon code for a free rental. So really this is a buy one, get one free coupon. The cool thing about reserving a movie online is that you know exactly what you are going to get -- no chance you'll drive all the way to a Redbox and then not be able to find a movie you want to watch. The free movie rental is for one night, so if you keep it longer, expect to pay $1 plus tax per night. Caveats: One free movie rental per person. 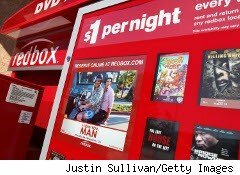 You will need a credit card or debit card to rent a movie through Redbox. Set up an account if you don't already have one to get this free movie rental. To get more free rentals and coupons from Redbox, sign up for text alerts or the company's email list. Get a free ice cream sundae at Friendly's when you buy any chicken strips entrée. Choose from Friendly's Signature, Honey BBQ, or Kickin' Buffalo chicken strips. Each entrée comes with cole slaw and a dipping sauce. The free sundae is called Happy Endings, which comes with two scoops of ice cream and one topping. I'll take mint and chocolate ice cream with chocolate syrup, please! It's unclear how long this free ice cream sundae offer will last, as there is no expiration date on the Friendly's website. The chain has more than 4,000 restaurants and ice cream shops across the country, so chances are there is one near you. Doesn't look like there are any limitations on the coupon, so if everyone in your group orders chicken strips, everyone gets a free ice cream sundae! Get a free water bottle from Victoria's Secret when you log in or register this week for PINK Nation, a sub-brand of the lingerie chain, and buy any PINK item in the store. Offer ends April 11, 2011. Your log-in for Victoria's Secret won't work, unfortunately. Click on the link above, then click on the words JOIN in blue on the left side of the screen. Enter your name, address, and email to sign up. You can opt into receiving PINK Nation's email and texts if you choose. The form also asks for your birth date, college (PINK is geared towards students), graduation date, and your top and bottom sizes -- but this information is not required to join. I received an email confirmation within minutes, which had a link to print the coupon for a free water bottle. The coupon will have your name on it and a cashier may ask you for ID to verify. Caveats: Online, catalog, and factory outlet purchases are not valid for the free water bottle. One per person while supplies last. Valid at U.S. stores only. Photocopies not accepted.